I am sure many of you may have lot of old photographs gathered over through the years and some of them got lost and damaged because of natural accidents, wars and fires. Among all those old photographs there could be some antique photographs that may have remained till today. There is something special about these antique photographs and there must be some reason why the person who collected them may have made his or her mind to fix it, sell it or store it for years. If you are interested in antique photograph collection, it is necessary to store and protect the best images that you think are valuable. You may have a cherished family album or you are interested in searching and gathering antique photographs, it is vital to understand about taking care of these important and valuable things. 1. 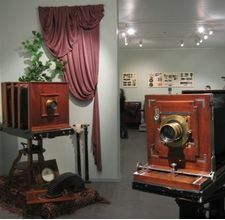 Antique photographs should be stored in a proper way. Original settings of the photographs may get severely damaged by the sunlight. It is recommended that you keep them in a secured place. Never keep them in your attic, garages or basement. It is advised that you keep them in particularly created storage facilities. Use authentic products that are particularly made to store and secure these antique photographs. These products are great to store your collections from temperature, humidity and severe sunlight that can destroy your antique photographs. 2. Make sure that you use clear plastic bags with proper sizes for your stereo views, cabinet cards and photographic postcards to preserve them appropriately. Ancient or authentic materials are very good in storing these antique photographs to keep the original settings as they are. These materials that are utilized to keep all these items have polypropylene and polyester that are known for long term storage. Cabinet cards are also put to antique file albums for additional safety for antique photographs from fingerprints and dust. 3. You should always keep your collection of old family album photos well arranged and protected by keeping them to a loose leaf album. This album is recommended and good for arranging antique photographs. If the photos differ from small to big photos, the photos can organized by making use of archival pages.